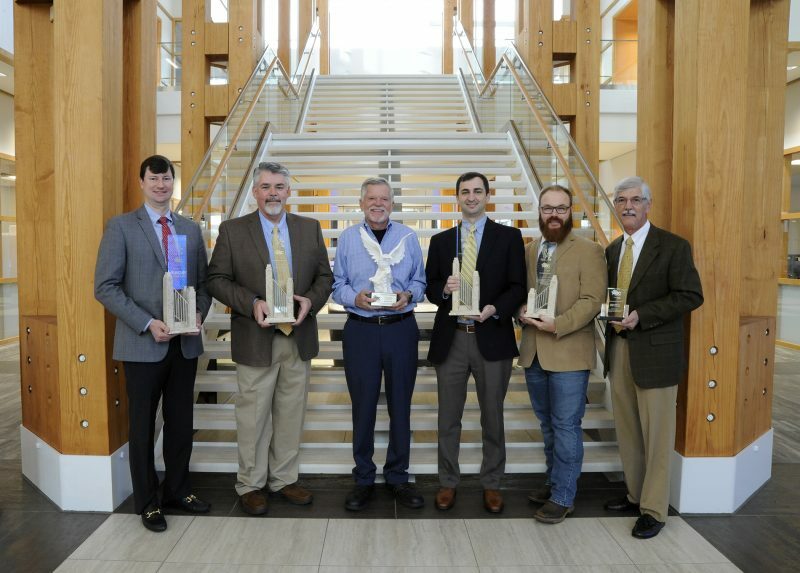 The Paul Propst Center, the latest addition to the HudsonAlpha Institute for Biotechnology campus, was honored at the Associated Builders and Contractors (ABC) of North Alabama 2018 Excellence in Construction awards. The Paul Propst Center expands the HudsonAlpha footprint with 100,000 additional square feet of laboratories, offices, and collaborative space. Similar in look and feel to the flagship building at 601 Genome Way, it houses components of HudsonAlpha’s education and research programs and additional space for associate companies. Extra details in design – glass walls, common sidewalks, a grand staircase – create a “team science” environment and contribute to a culture of collaboration. To learn more about starting, relocating and expanding business on the HudsonAlpha campus, please visit hudsonalpha.org/800.